the ultimate FACT: Hunting is paying for wildlife & predator conservation. 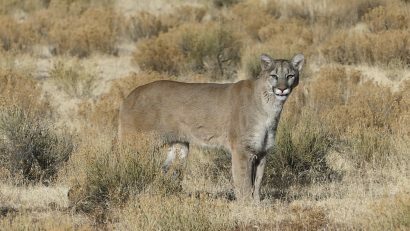 Recreational predator hunting is a COST effective way of managing predators. Despite what anti-hunters and some non-hunters believe, predator management has big influences on game populations. Despite what anti-hunters and some non-hunters believe, predator hunters do NOT kill every predator. Coyotes are probably the most adaptive animal in the world. Coyotes survive, breed, populate and kill every year. Coyotes are truly a creature we admire, but at the same time, we understand they must be managed. Bobcats, despite what many believe, do kill fawns and calves. Some big toms will even kill full grown deer, although it’s rare. Bobcats replenish quickly and kill small game at an unreal rate. Gray fox will kill fawns, but typically they are killing game birds and small game. We don’t HATE these animals or despise them. We also admit, we enjoy hunting these predators, but we realize this is a Bi-Product of predator management. The difference between the human predator and wild predators? Human hunters now place restrictions or bag limits on how many animals we can kill, based on SCIENCE. Hunters pay for this and we really value managing wildlife based on science. Wild predators don’t use logic, they are built to kill and that’s what they do, regardless of how many prey animals they have already taken. Human hunters compete with predators, it’s just how the world was made. If you eat meat, wild predators do influence the cost, because they also eat livestock (generally the babies). These are just the facts and we don’t hide from them or act like it’s a Disney movie. Main Stream Society often despises those of us who participate in this activity, but they are HYPOCRITES in our opinion. 99.9% of people will spray their home for bugs or kill mice, because they do not want these creatures living in their homes. 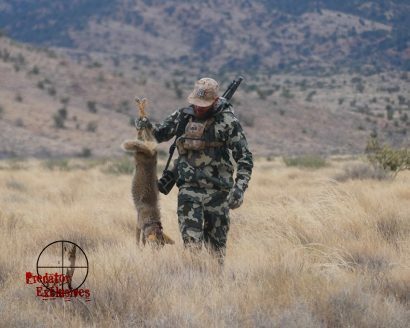 Hunters & ranchers face this same scenario with predators, but we do not want to exterminate the predators, we just want to control or manage them. We will not apologize for excepting reality and enjoying predator hunting. Not too mention, we often use the furs from our predator hunts for trophy mounts, garments or they are sold for income.